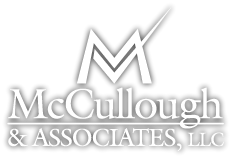 Terry is the managing partner and a financial advisor at McCullough and Associates, LLC. Terry serves his clients by providing knowledge on matters including tax planning, portfolio management, family wealth planning, retirement income strategies, wealth preservation, and employee benefits. 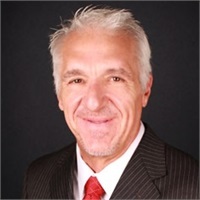 Terry is a Certified Public Accountant, a Registered Representative of Cetera Financial Specialists, LLC, and an Investment Adviser Representative of Cetera Investment Advisers, LLC. In 2017, Terry McCullough earned his Accredited Investment Fiduciary (AIF®) designation from the Center for Fiduciary Studies™. The AIF® designation signifies specialized knowledge of fiduciary responsibility and the ability to implement policies and procedures that meet a defined standard of care for a client that is in their best interest. Terry also holds his life, accident, and health insurance license. Terry received his Bachelor's Degree in Accounting from Southwest Missouri State University. He has over 40 years of experience in the fields of accounting, finance, investment, and estate planning. He is a member of the Missouri Society of Certified Public Accountants and the American Institute of Certified Public Accountants. He has served as a board member for both the Greene County Heart Association and the Greene County Estate Planning Council. Over the last several years, Terry has earned the recognition* of being a top advisor with Cetera Financial Specialists, LLC. In his spare time Terry enjoys golfing, fishing, being at the lake, and spending time with his family and friends. * This recognition is no guarantee of future investment success. Working with a highly rated advisor does not ensure that a client or prospective client will experience a higher level of performance or results. These ratings should not be construed as an endorsement of the advisor by any client nor are they representative of any one client's evaluations.